Pair of monitors housed in a rugged cabinet. 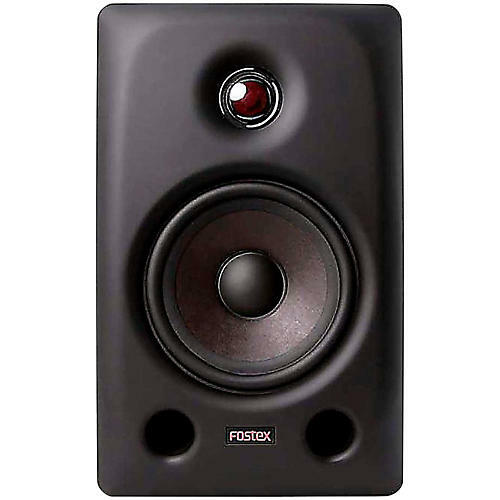 The Fostex PX-5 Professional Monitor Speaker consists of totally new 5.2" LF driver and 1" HF tweeters. The superior digital FIR filter realizes unprecedented accurate sound reproduction and delivers class leading sonic performance. Its ported design allows for remarkable bass reproduction despite its small size. It has a hybrid input jack as well as an unbalanced RCA input. A rotary tone knob ensures that you can accommodate your room's idiosyncrasies. Order today have a compact and reliable monitoring system.